Our bodies need numerous nutrients to function properly and fatty acids are no exception. While we can synthesize some of them by processing food, there is one group of fatty acids that we cannot produce ourselves. Just like vitamin D, we have to supply our cells with them through food. This is why we call them essential fatty acids. Perhaps this doesn’t ring a bell but you have probably heard the terms omega-3 and omega-6 acids. Omega-3 and omega-6 are exactly those essential fatty acids (EFA) we need but cannot synthesize. In this case, it is of crucial importance to our health to pay attention to our diet because it is easy to fight EFA deficiency. 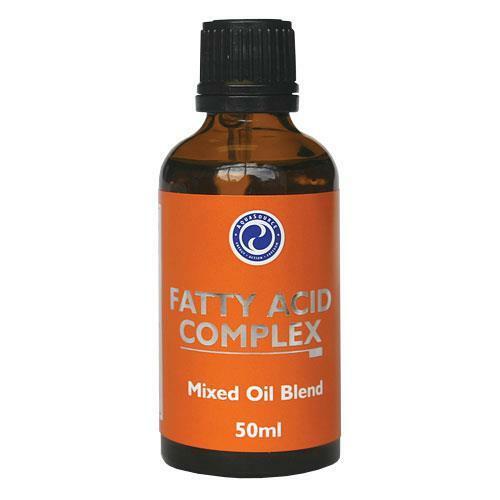 Fatty Acid Complex is an amazing blend of cold extracts from an array of different seeds, nuts, and fruits that results in 88 fatty acids, including all the essential ones. Fortunately, it is quite simple to turn things around. We just have to be a little bit more careful when choosing our menu. Omega-3 and omega-6 acids can be found in common foods such as flaxseed and flaxseed oil, oil from sunflower, perilla, hempseed, soybean, and safflower. Chia seeds, pumpkin seeds, walnuts and your regular Brussels sprout are also rich in essential fatty acids. Add some fatty fish like salmon, sardines, mackerel, herring or trout to your menu and you are basically there. Needless to say, fish oil and food supplements can help you fix your EFA deficiency in a quick and easy manner. Essential fatty acids are also major factors for the fetal brain development and fetal growth. This is why it is advisable that during lactation and pregnancy women do stick to omega-3 and omega-6 rich nutrients. EFA are associated with improved cognitive outcomes and enhanced tissue development. Food supplements are often recommended for pregnant and lactating women.